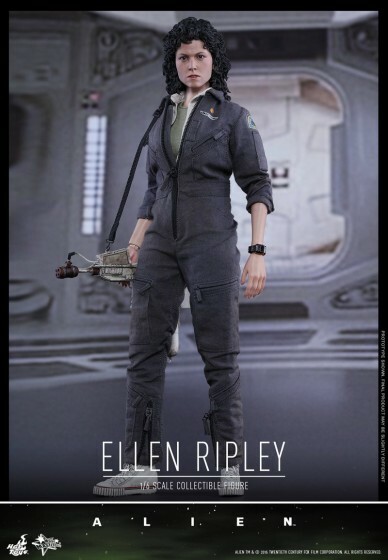 The 1/6th scale Ellen Ripley Collectible Figure has been introduced by Hot Toys today, giving Alien fans all over the world reasons to be extremely happy. 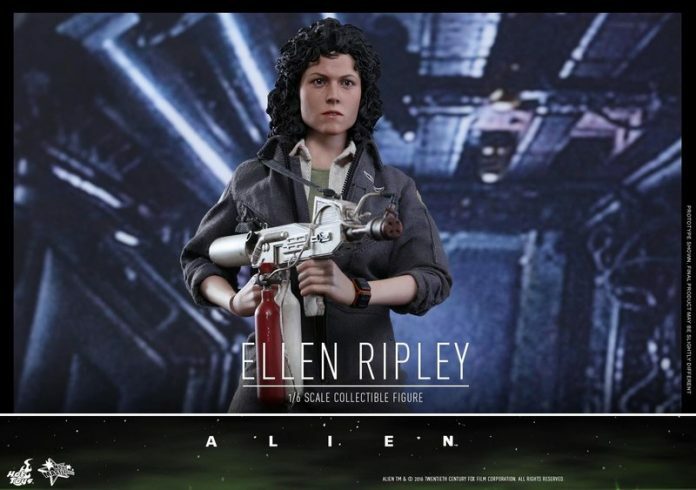 The figure showing Ellen Ripley from Alien is extremely detailed and is based on the look of the main character in the first film. 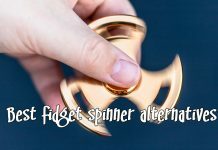 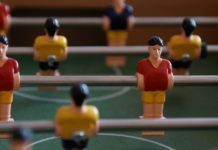 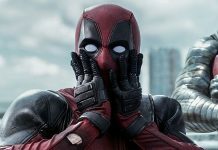 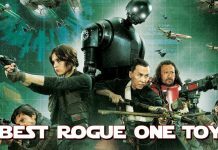 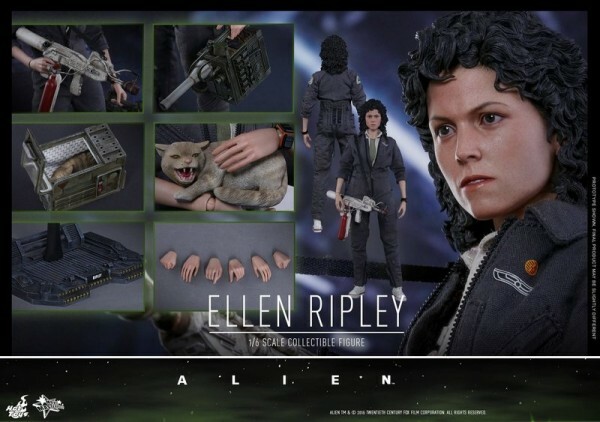 The action figure comes with an extremely detailed costume, a custom flamethrower, as well as highly detailed accessories (like Jonesy the cat, a tracking device or a wrist watch) and more. 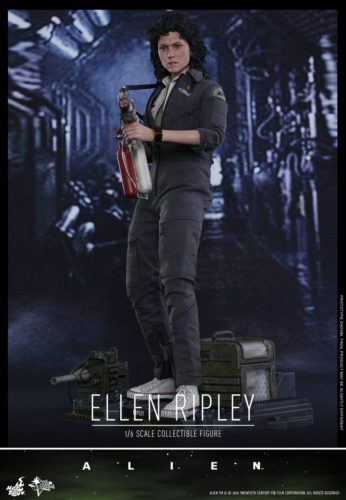 You can check out the photos below to get a better picture of how amazing this figure really is. 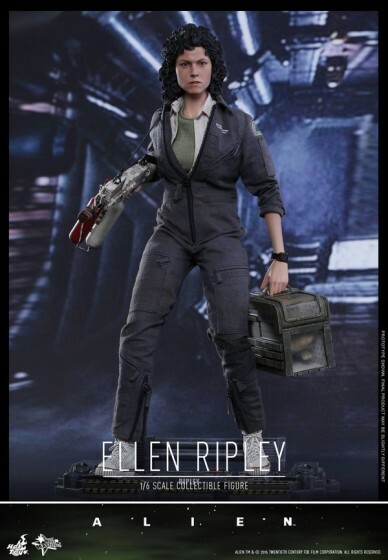 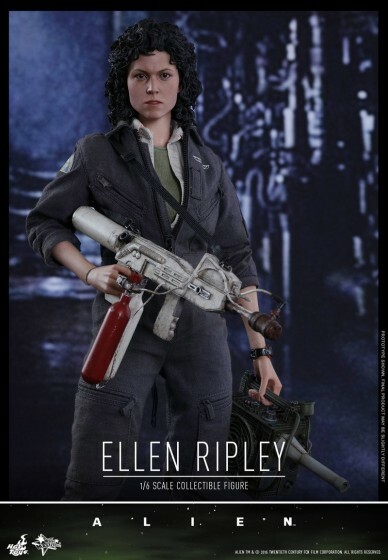 Standing at 30 centimeters tall, the Ellen Ripley figure has 28 points of articulation, 6 pairs of interchangeable hands and hand painted head sculpt. 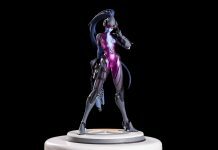 I can’t wait for this to see daylight!